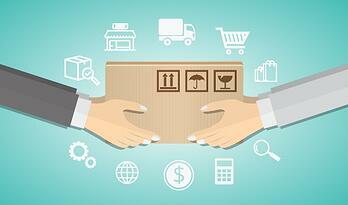 Omnichannel commerce brings new challenges to order fulfillment. Think of all the channels your customers use to shop—your website, online marketplaces, stores, paging through a catalog, or calling your contact center. Add in all your inventory locations—including DCs, warehouses, fulfillment partners, and retail locations—and you may run into difficulty fulfilling orders as flawlessly as customers expect. All the order touchpoints such as point-of-sale systems, contact centers, and e-commerce platforms need to sync with your order, inventory, warehouse, shipping, and reporting systems. Otherwise, orders may need to be canceled or delayed, which affects customer loyalty and chips away at profitability. Flexibility is key when it comes to omnichannel order fulfillment and order management systems that enable it. Static business rules—such as a customer located in California should receive products from the nearest fulfillment center in Arizona— no longer makes sense when inventory is sourced from retail locations as well. Now, you also need to consider the store inventory, as well as the demand for a product in that geographic area. That same customer, located in Northern California, orders a popular product online that sells out quickly in the retail store in his area. Instead of shipping from the store in his area that has low inventory (and risking losing an in-store sale as a result of being out of stock), artificial intelligence can determine that it’s better to ship the product from a store in an area that isn’t experiencing the same level of demand. Sound confusing? It can be. But this is the next generation of order management and fulfillment, which uses artificial intelligence and cognitive capabilities to determine the best source for items and ship them in the most profitable way possible. These capabilities can transform the way orders are fulfilled—reducing costs and increasing profitability, while ensuring customers are happy. Here are a few examples of how this works. By now, you already know how important it is to have real-time global inventory visibility. However, that’s not enough to meet today's demands. If your order fulfillment strategy extends to retail locations, you may lose out on in-store sales by fulfilling orders through the store if you haven’t analyzed the whole picture. For example, a customer in New England is purchasing a lock de-icer online in anticipation of a snowstorm, and that item is out of stock in the fulfillment center. If your order management system taps into artificial intelligence and predictive analytics, it will determine that it is better to source and ship from a location outside the storm area so that in-store sales won’t be affected. The de-icer will ship from a location with much lower demand, avoiding potential markdowns at that store, while ensuring the largest margin for the product’s sale. Many companies are hopping on the expedited shipping bandwagon as more retailers offer free two-day shipping. But when a customer does order something, retailers need to know the best way to ship it to the customer to meet the delivery window…or incur the customer’s wrath. Order management systems that leverage artificial intelligence can simulate fulfillment and shipping scenarios, weighing the cost of shipping from a particular location against the ability to meet delivery windows. The system can provide information that will help better source items and ship them to the customer in the most efficient, cost-effective way possible—using the carrier and shipping method, the location of the item, and other data as factors in recommending a course of action. Take the case of Black Friday online shopping. Over 100,000 orders come in for a product, creating a backlog. It may seem like shipping from a different fulfillment center would make the most sense because it has plenty of inventory. But that may require using expensive expedited shipping to reach the customer in time. Artificial intelligence and cognitive capabilities could determine that it’s optimal to fulfill the order through a nearby retail location, ensuring the product gets to the customer on-time. When AI, cognitive and analytics capabilities are integrated with a company’s order management system, business managers can use all the real-time information to make critical decisions about order fulfillment—including sourcing and staffing. They can examine the data and trends and adjust priorities and approaches accordingly—down to the SKU if necessary. They’re provided with the information in context, and with the right tools, can review the data, make changes to shift schedules, and place orders from the distribution center differently—without needing to open a trouble ticket or work in different systems. This allows them to make their retail locations more profitable while reducing overall fulfillment costs. This is just the beginning of how artificial intelligence and cognitive capabilities can optimize omnichannel order fulfillment. Instead of relying on static business rules that require IT assistance to change, companies will be able to adapt to changing demands and customer preferences. They’ll receive information that will aid faster, better decision making. Ultimately, customer orders will be fulfilled in the most efficient, cost-effective way possible, leading to happier customers and greater profits. 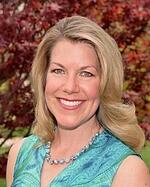 Lori Angalich is the VP of Marketing at Lightwell. She loves exploring new technologies and business models, learning how things work, solving problems, and developing new ideas with others. She has a Bachelor of Science in Biology and an MBA in Marketing, and she enjoys applying her knowledge from both each and every day. Lori has a passion for travel, art, wine, music, wildlife (including her two dogs, who are a bit on the "wild side"), and most of all, creating great memories with her family.